Barnes & Noble – Rising Star Series! Seventh Journey is featured in Barnes & Noble’s Rising Star Series for another week. Featured during the month of March, Seventh Journey was selected due to it’s Editor’s Choice designation, and marketability. Grab a copy now, and get Seventh Journey on Barnes & Noble’s shelves! 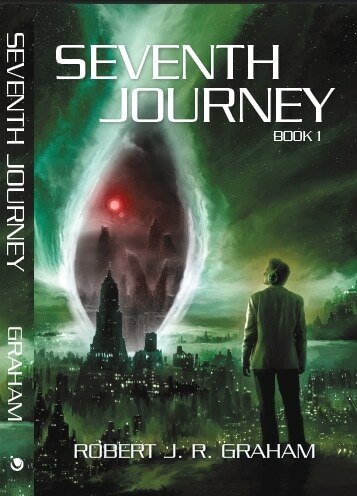 Seventh Journey is a thrill-seeking adventure that will leave you questioning what you really know and believe about the reality we find ourselves consumed with. In the series’ first self-titled book, Graham weaves a fantasy story line that illustrates the power of self-realization. In Seventh Journey readers meet Jacob Cross, a staff scientist at Netex, an advanced research firm with more than one secret agenda. Using a sound wave technology called Auditum, the nefarious research firm develops a mind-altering headset with the power to control minds and even hurl users into a different dimension. PREVIOUS POST Previous post: What is Peace?